Medical advances are introduced every day, and treatments for glaucoma, one of the leading causes of irreversible vision loss,1 are no exception. 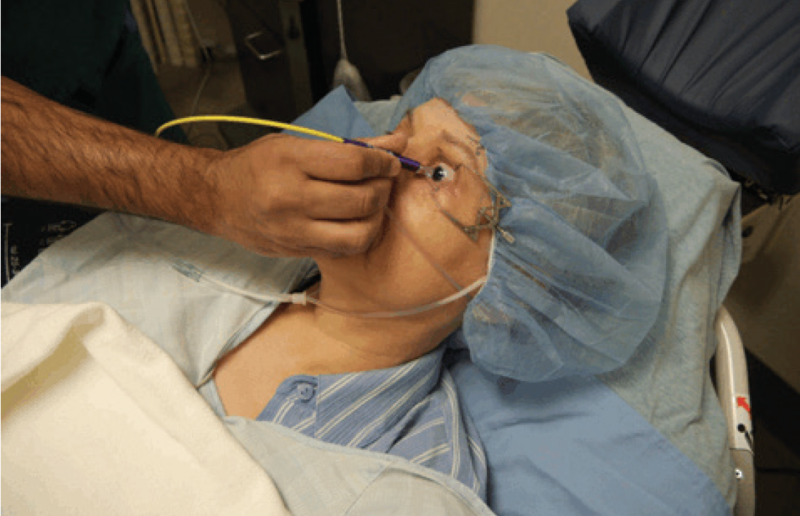 New surgical options for glaucoma are helping to relieve patients of complicated and burdensome topical medication regimens that are associated with notoriously poor compliance rates. With so many treatment options, however, it can be difficult to tailor the best approach to each patient. This is especially challenging in patients with refractory glaucoma, who often ultimately need more aggressive therapy and riskier procedures to prevent further vision loss. With our colleagues, we recently studied the efficacy of MicroPulse laser therapy in a small group of patients (n = 60) with advanced refractory glaucoma. 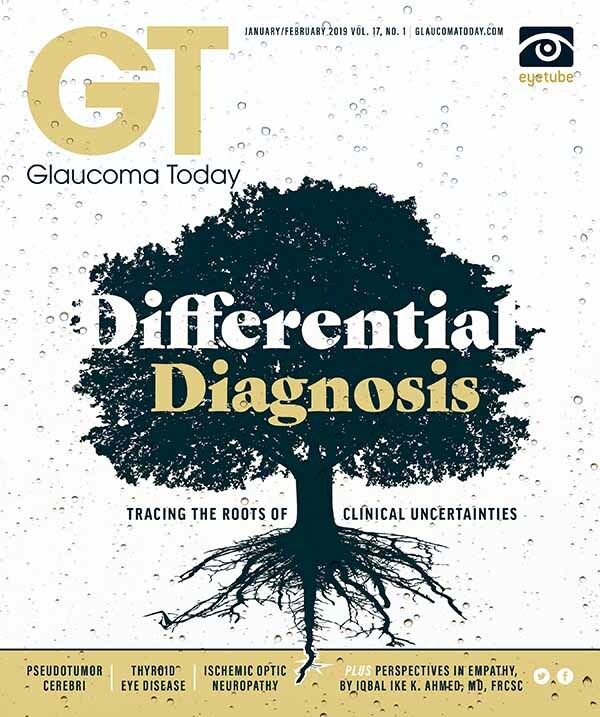 These individuals had a variety of types of glaucoma, including open-angle, closed-angle, and secondary etiologies, and they had incomplete IOP control despite extensive histories of medical and surgical interventions. All 60 patients underwent transscleral MP-CPC and were followed for 6 months. Most patients in the study exhibited statistically significant reductions in IOP at 1 week and 1 month. However, only the primary open-angle glaucoma patients demonstrated a statistically significant decrease in IOP through and up to 6 months after MP-CPC treatment. HOW DOES TRANSSCLERAL MP-CPC WORK? There is debate as to exactly how transscleral MP-CPC works. Traditional transscleral CPC lowers IOP through destruction of the ciliary processes.4 Conversely, transscleral MP-CPC is much less destructive. MicroPulse technology quantizes a continuous-wave beam into an envelope of repetitive short pulses, which enables the clinician to finely control thermal elevation. Whereas traditional CPC causes focal burns in the ciliary body, the MP-CPC technique uses short thermal bursts, so that energy is applied 31.5% of the time (duty cycle), thereby avoiding excessive focal heating and burning of the tissue. MP-CPC may work by increasing the flow through the outflow system, and a video by Murray Johnstone, MD, appears to support this theory (see Watch It Now).5 The video shows that slight shrinkage of the ciliary body causes the tissue to pull on the trabecular meshwork and Schlemm canal, opening the drainage system enough to facilitate greater fluid egress and, therefore, pressure reduction. Although the exact mechanism of efficacy for MP-CPC has yet to be fully elaborated, we believe a resultant increase in flow through the trabecular meshwork may be at work. This theory is supported by our study, as we found that patients with a variety of etiologies for refractory glaucoma benefitted from MP-CPC but that IOP reduction was most evident and long-lasting in patients with primary open-angle glaucoma. I (R.K.) work in both private practice and academia. In both settings, I use the Cyclo G6 laser in its MicroPulse treatment mode with the MicroPulse P3 Glaucoma device to deliver transscleral MP-CPC. Primarily, I use transscleral MP-CPC for refractory patients who have undergone previous trabeculectomy or tube shunt implantation. Occasionally I perform transscleral MP-CPC in combination with cataract surgery. I have found transscleral MP-CPC to be beneficial for patients who are poor surgical candidates for a variety of reasons, whether they are elderly, have significant comorbidities, are anticoagulated, have multiple eye drop intolerances, or have issues that would prevent them from safely undergoing other surgical interventions. Prior to transscleral MP-CPC, I administer a retrobulbar block to effectively reduce pain and discomfort during and after the procedure. Initially, I used the standard settings of 2,000 mW of power for 160 seconds, with 80 seconds of treatment superiorly and inferiorly. After performing more than 200 cases, I have found that the more medications a patient is taking and the higher the pretreatment IOP, the more energy is ultimately needed to achieve significant pressure reduction. As my experience with the device has grown over time, I now routinely use 3,000 mW power. I also standardized the treatment duration to 180 seconds, treating 90 seconds in a sweeping motion across the superior and inferior hemispheres, with each pass about 10 seconds in duration (Figures 1 and 2). If necessary, I can repeat this procedure up to three times, although most patients need about 1.5 treatments on average. Figure 1. The Cyclo G6 laser (Iridex) is set at 3,000 mW of power for a duration of 90 seconds. Figure 2. The laser energy is delivered in a sweeping motion for 90 seconds across the inferior hemisphere and then for 90 seconds across the superior hemisphere, with each pass about 10 seconds in duration. The 3 o’clock and 9 o’clock positions are avoided. My postoperative regimen is comparable to that used for cataract patients in terms of antiinflammatory treatment. I do not use antibiotics and have never seen an occurrence of infection. I use 1% prednisolone acetate ophthalmic suspension starting four times a day and taper to once daily, with follow-up at 1 day, 1 week, and 1 month postoperatively. Although I have not found that I can reduce or eliminate the IOP-lowering medications of many refractory glaucoma patients, transscleral MP-CPC provides me with a safe and effective option for lowering IOP while minimizing the risk of vision-threatening complications. I have not seen any cases of prolonged hypotony or phthisis, which are major concerns with traditional transscleral CPC. Although more prospective research with larger data sets is needed, MP-CPC is an emerging technology with good initial results for IOP reduction in patients with refractory glaucoma. My clinical experience and results from our study allow me to comfortably utilize MP-CPC as a safe and effective method of reducing IOP in refractory glaucoma, with sustainable IOP-lowering benefits in open-angle patients specifically. 1. Quigley HA, Broman AT. The number of people with glaucoma worldwide in 2010 and 2020. Br J Ophthalmol. 2006;3:262-267. 2. Aquino MC, Barton K, Tan AM, et al. Micropulse versus continuous wave transscleral diode cyclophotocoagulation in refractory glaucoma: a randomized exploratory study. Clin Exp Ophthalmol. 2015;43(1):40-46. 3. Tan A, Chockalingam M, Aquino M, Chew P. Micropulse transscleral diode laser cyclophotocoagulation in the treatment of refractory glaucoma. Clin Exp Ophthalmol. 2010;38:266-272. 4. Noecker RJ, Kelly T, Patterson E, Herrygers LA. 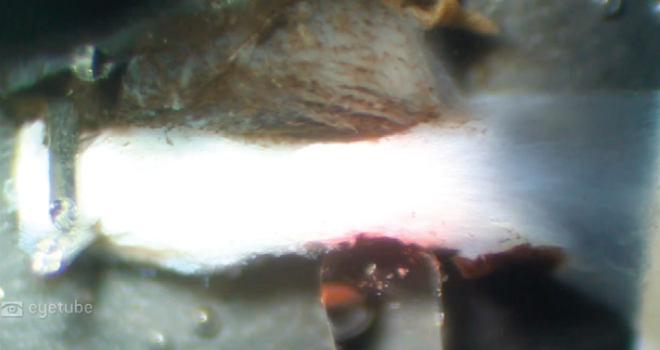 Diode laser contact trans-scleral cyclophotocoagulation: getting the most from the G-probe. Ophthalmic Surg Lasers Imaging. 2004;35:124-130. 5. 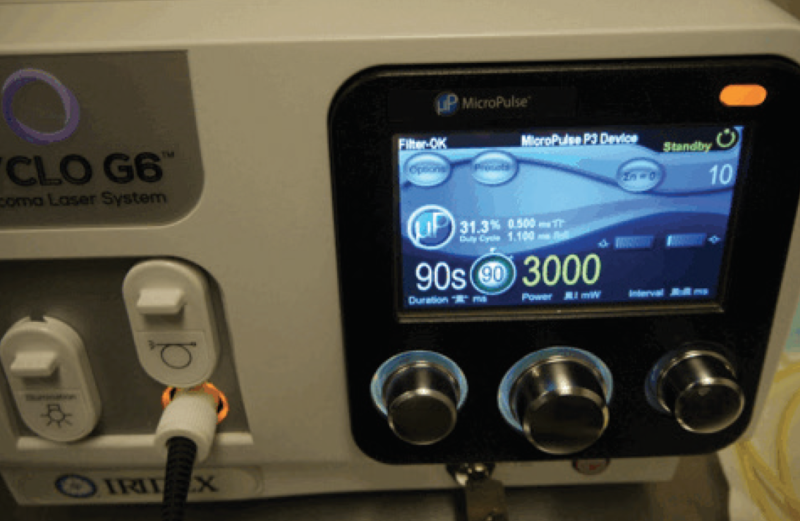 Richardson D. How does MicroPulse P3 cyclophotocoagulation work? New Glaucoma Treatments. 2017. http://new-glaucoma-treatments.com/how-does-micropulse-p3-cyclophotocoagulation-work. Accessed January 1, 2019.